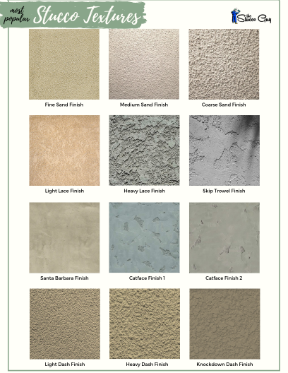 The colors that are available for stucco fog coating really depends on what manufacturer you go with because each one will have a different lineup of colors to choose from. If you know what product was used on your house then this process becomes much easier but if you do not know, then it will be somewhat of a guessing game. Some manufacturers also offer a custom color matching fog coat mix for you, like a paint department in a hardware store would. Let's get right to it and check out the different fog coat colors by all of the different manufacturers. El Rey has 30 different colors that you are able to choose from when applying a fog coat. These are just the standard colors from their premium color choices. You can take a look at their pdf datasheet to get a better idea of the limitations of the material, how to apply it, etc. Expo has 36 different colors that are available from their premium and classic color lineup. Below is a few of the classic colors, to see all of them click here and for the premier colors, click right here. 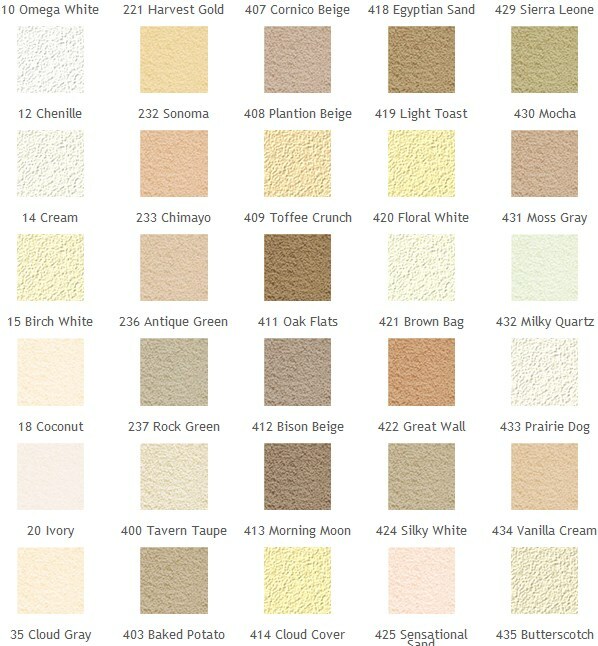 I found a total of 62 different colors for traditional type of stucco finishes that have a corresponding fog coat color. These are La Habra’s Platinum Plus Colors, their Premium Lifestyle Colors and the Standard Colors. They also have their own documentation on how to apply it, what it consists of and lots of other helpful info. 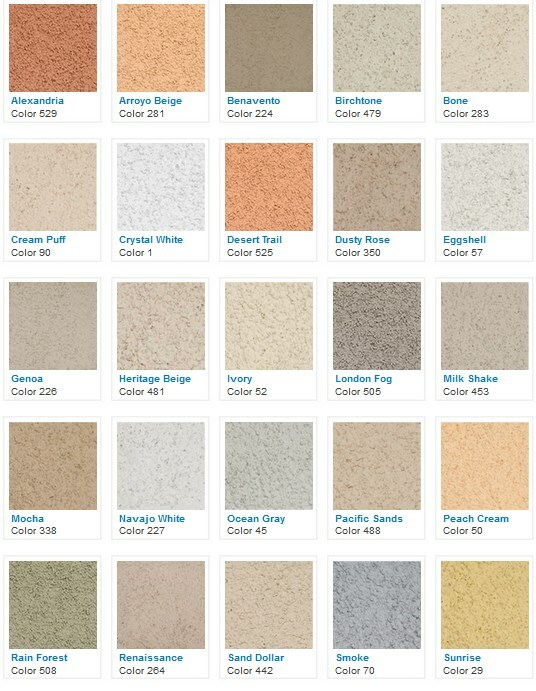 Merlex has 30 different colors that can be achieved when using their fog coating material. These are just some of them (below). 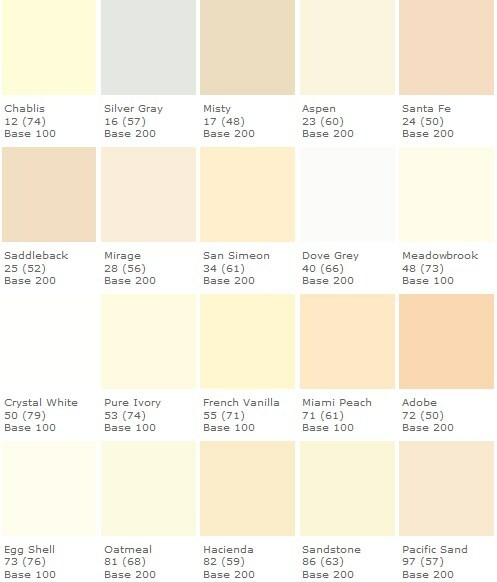 If you would like to see all of the available colors, then visit their colors page. If you are looking for more information about their fog coating products in general, then check out this helpful page on their website. 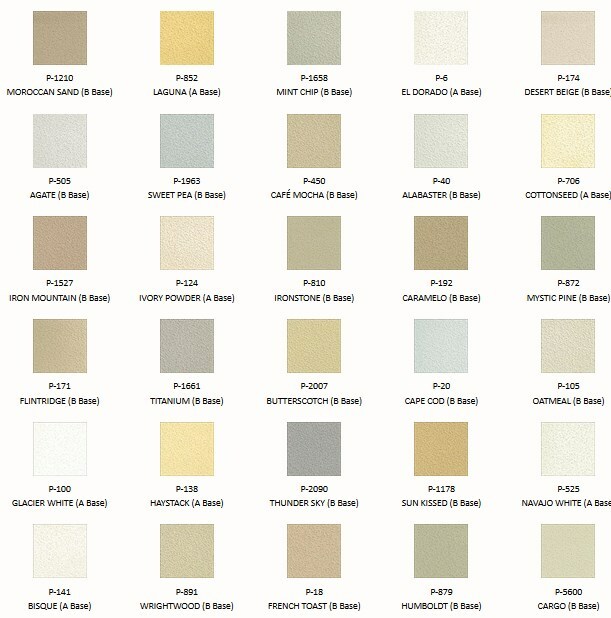 Omega had a total of 45 different colors that were compatible with their fog coating system and these were all listed under their ColorTek Color Chart Colors. They also have a helpful page on their website with additional pdf material for application processes, limitations, etc. 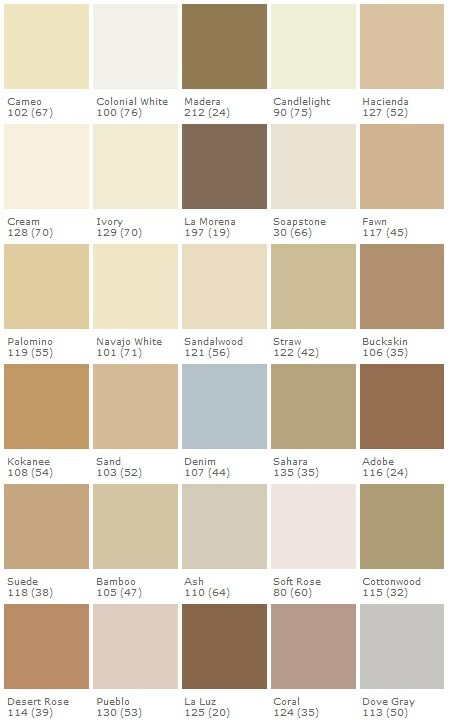 You can also check out my Omega Color Tool that I made to see a preview of the different colors on a sample home.